Ethiopia’s political history of the last half-century has been the pregressive unfolding of the twinned ideas of “land to the tiller question” and the “national question.” Two ideological factions coalesced around the question of nationalities: the ethno-nationalists who favored self-determination and the Ethiopianists who advocated granting regional autonomy to regions where centrifugal tendencies were evident. In 1987, a constitution that established the People’s Democratic Republic of Ethiopia partially adopted the Ethiopianists’ position by granting regional autonomy to five regions to diffuse demands for self-determination. In 1991, the ethno-nationalists who favored self-determination ousted the Ethiopianists and vowed to construct a decentralized federal state of Ethiopian nations, nationalities and peoples. In recent weeks, the Ethiopianist’s position is attempting to engineer a comeback to reclaim the relevancy it lost in 1991 by unleashing a particularly shrill and vitriolic rhetoric against Oromo nationalists. The rehashed slogans of Ethiopianist “patriots” in diaspora circles is relentless but has little consequence beyond inflaming passions and whipping up diaspora support for a defunct political position. 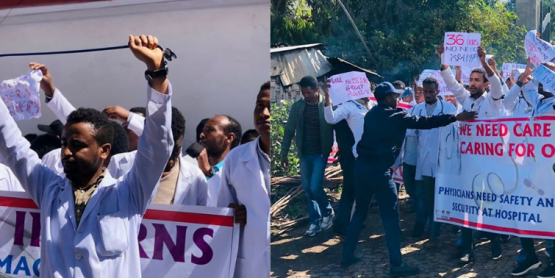 The resurgent Oromo nationalism, expressed in the historic Oromo protests of the last two years, is not just a nationalism of articulated grievances against Tigray People’s Liberation Front’s (TPLF) increasing authoritarianism and insatiable rapaciousness. It is a more organic cultural nationalism built on a shared Oromummaaor Oromo identity and a collective consciousness buttressed by Oromo political and cultural heritage. As such, there is no Oromo audience for the nostalgic assimilation dream of the imperial period. 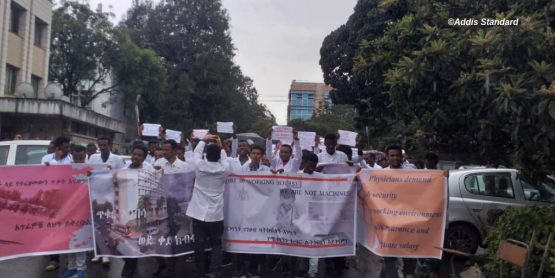 In this reflection, I argue that Oromo protests were preceded by a cultural revival that occasioned the emergence of a resurgent Oromo nationalism, unified the Oromo nation and helped launch an unprecedented sophisticated civil action in the recent history of Ethiopia. A corollary to my argument is an assertion that Oromo nationalism that was expressed in the Oromo protests is a home-grown, pragmatic nationalism that has outgrown the dystopian goals and methods of earlier periods. I begin by correcting misconceptions about the earlier Oromo nationalism with a view to showing that imagined pan-Ethiopian territorial nationalism is ill-suited to a genuine federalism. Even after the adoption of the Constitution of the Federal Democratic Republic of Ethiopia in 1995, the pan-Ethiopian nationalists kept dismissing ethnicity as a feature of marginal groups destined to assimilate into the modern state. In their view, the assimilationist policies of the imperial regime (1941-74) and the military-socialist regime (1974-91) have replaced ethnic consciousness and identity by pan-Ethiopian patriotism. As such, they characterized the contemporary ethno-nationalist resurgence as ethnic mobilization whipped up by power-hungry elite that will disappear once citizenship rights were ensured. Insisting that Ethiopia is indivisible, the pan-Ethiopianists consistently bemoaned national self-determination as “unpatriotic, or even un-Ethiopian.” After several metamorphoses, the political groups that advocated the pan-Ethiopianist solution to the “national question” formed the Coalition for Unity and Democracy (CUD) in the mid-2000s. During the 2005 national elections, they offered a liberal democratic state buttressed by a pan-Ethiopian nationalist ideology as the appropriate remedy for Ethiopia’s quest for national integration and economic development. 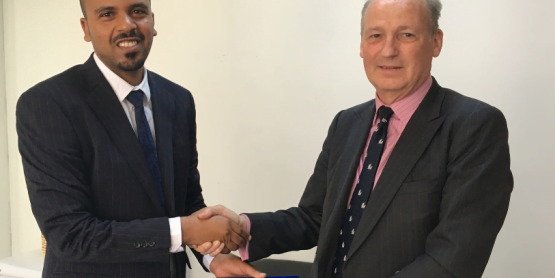 For CUD and its successors, such as the Ginbot 7 Movement for Freedom Justice and Democracy, liberal prescriptions are the solution to Ethiopia’s twinned questions of land ownership and the question of nationalities. Many of them still oppose ethnic federalism and advocate land privatization. This influential interpretation undergirds the views of the pan-Ethiopian assimilationists. 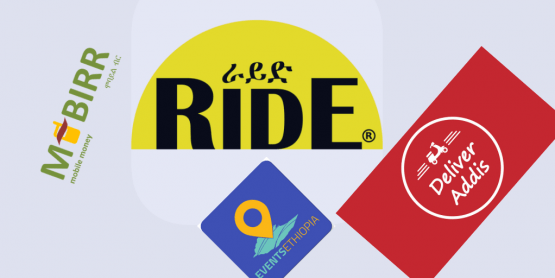 Rent by internal dissensions and the pan-Ethiopianist challenge, the TPLF-led Ethiopian People’s Revolutionary Democratic Front (EPRDF) gradually moved away from its ethno-nationalist commitments. 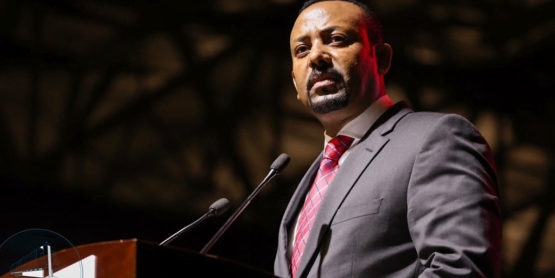 Beginning in the early 2000s, the party began to embrace Ethiopian nationalism asserting that its policy of accommodation of ethnic grievances, aided by economic growth will eventually render ethnic nationalism politically irrelevant. Its search for an ideological basis for its rule culminated in the politics of a dominant party leading a developmental state that will build a middle income country governed by a federal system. Like the pan-Ethiopian nationalists, the EPRDF now holds that a modern state, conceived in the norms of self-reliance, universal equality and individual autonomy will render the vestiges of ethnic loyalty obsolete. The EPRDF has now settled on economic developementalism based on accommodation of ethnic demands. It is a position that can aptly be characterized as a neo-nationalist accomodationists. After the 2005 national elections, the EPRDF and its pan-Ethiopianist opponents found common cause in politically marginalizing the OLF, the main ethno-nationalist party that remained committed to the idea of the right of national self-determination. As the result, the OLF was hemmed in by these two champions of pan-Ethiopian nationalism. In present-day popular consciousness in Ethiopia, OLF nationalists are viewed as relics of the era of liberation movements whose goal is to tear down the state, subvert democracy, development and peace, and revert back to a pre-modern way of life organized around a primordialist conception of ethnicity. As such, Oromo nationalists are criticized for three reasons: first, elites exploiting the language issue, which ostensibly has been fully addressed, to claim power; second, espousing a secessionist agenda which is divisive and unattainable; and third, inventing traditions unaware that modernity has made indigenous institutions unworkable and irrelevant. The great majority of Oromos take great pride in their Ethiopian identity. … their national identification has been largely formed, and they enjoy widely shared values and internalize restrains on highly parochial and norm-challenging actions. … The integrative dilemma comes not from tribal animosities or masses in revolt, but … from competition between ethnic elites for state power in which state centralism encourages alienated elites to raise ethnic demands. On the accommodationists side, Alemseged Abay posits that under the TPLF “Oromo cultural grievances were genuinely accommodated. Afaan Oromo thus became an academic and administrative language. The Oromo elite … can now freely enjoy their distinct identity.” As the result, he concludes that the secessionist dreams of the OLF have been seriously undercut. Both sides mistakenly equate Oromo nationalism with the OLF, which they consider is an elite creation. In fact, Oromo nationalism with which the OLF is often identified was forged in the womb of social and cultural nationalist groups such as the Macha Tuulamaa Self-help Association and the Afraan Qalloo Cultural Troupe and its offshoot music bands in Western Ethiopia (Guddattuu Wallaggaa, Burqaa Boojji, Biqiltuu Mandii and Lalisaa Najjoo) and Aduu Birra in Addis Abeba. For these groups, their goal was cultural survival, construction of national identity and a restoration of historically-rooted way of life. The Oromo language, the root of Oromo identity. It is this kind of knowledge that will liberate us all. Language revival was accompanied by recovery of political culture that was thought to be defunct. Released at about the same time, Ali Birra expresses the Oromo yearning for the restoration of the Gadaa system, the participatory political system of the Oromo. In Karaan Galma Abba Gadaa Eessa, language is described as an emancipatory vehicle. Asabaleehoo, gurraamaleho, which path leads to the Abba Gadaa palace? I like to go there and strengthen it, and then sit back and narrate his story. We glossed over our story, but we have no poverty of history. In this song, written in the 1970s, the artist explicitly states the Oromo longing for self-government, invoking the Abba Gadaa’s (the head of the traditional government) symbol of power and expressing the Oromo aspiration for self-rule. 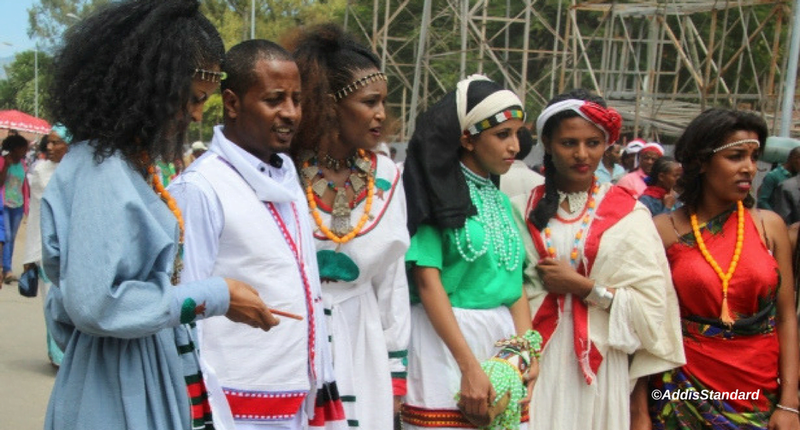 Oromo artists revitalized the Oromo language as the basis for forging common identity as a necessary precondition for nationalism and political action. This cultural awakening was a grassroots movement that involved people from all walks of life. The elite had little to do with it. When these songs were released in the mid-1970s, the OLF was not even constituted as a political organization. At the time, the alleged Oromo elite were members of either the All Ethiopia Socialist Movement (AESM or Me’ison) or the Ethiopian People’s Revolutionary Party (EPRP) who believed that the question of nationalities would be resolved as part of the class struggle of the socialist revolution that was underway, not through fostering ethnic identity. It is the cultural turn that recaptured the elite back into Oromo nationalism rather than the elite reproducing nationalism to serve their private political ambitions. It then follows that the language issue is not a matter of obsession for Oromo nationalists that stops with obtaining the right to speak it. 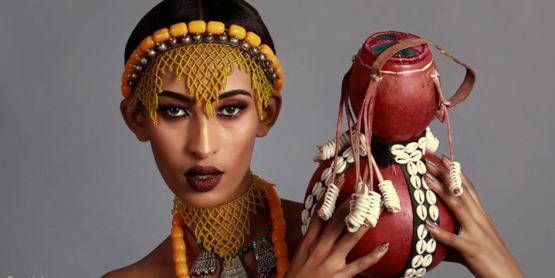 It is an instrument of reconnection with the Oromo heritage and imagination of the future. Over the last several decades, Oromo nationalism has evolved from a quest for self-reliance to seeking regime change to fighting for total liberation. Prior to the early 1970s, the political goal of Oromo nationalism was articulated by the OLF’s immediate predecessor, the Ethiopian National Liberation Front (ENLF). Founded on 27 June 1971 by Hajji Hussien Sorra in Aden, the ENLF declared its objective was to overthrow Haile Sellassie’s “feudal regime” and to create a “progressive republic” based on a decentralized union comprised of autonomous regions. Specifically, it supported land distribution to peasants, freedom of the press, release of political prisoners, the right to organize political parties and professional associations. The ENLF was established to unite all the oppressed peoples of Ethiopia to pursue the goals of removing felt injustices and building an Ethiopia in which all nationalities were equal citizens. The ENLF was organized after the Macha Tuuluma Association was suddenly banned in 1968 and its leaders were imprisoned. It was also a response to the Oromo people’s national rage and a revival of the spirit of the Bale rebellion.At this stage, the focus of Oromo activists was on the restoration of personal dignity and the cultural identity of the Oromo. Few entertained the idea of an independent Oromo republic. Independence as a political goal was first introduced in 1976 when the OLF revised its political program and declared its main political objective as follows: “the realization of national self-determination for the Oromo people and their liberation from oppression and exploitation in all their forms. This can only be realized through successful consummation of the new democratic revolution . . . and the establishment of the people’s democratic republic of Oromia.” The political program was in sync with the prevailing global political environment. As Lencoo Lata has noted, the “Oromo struggle for self-determination was conceptualized as part of a worldwide process of ending both class and national oppression within the wider goal of bringing about a totally new world order.” Thus, the political program of the OLF wasn’t a utopian vision that hailed from a “narrow nationalist” mind, but a political choice that resulted from a deliberative process that took account of the prevailing conditions of the time. A closer examination of the OLF political program reveals that the organization was not resolutely in favor of secession from its inception. The program also envisions possibilities of a democratic union with other ethnic groups. It states that the OLF “will work to bring about, where possible, political union with other nations on the basis of equality, respect for mutual interests and the principles of voluntary association.” The ambivalence in the program reveals the existence of contrary voices to the secession agenda within the organization. There has been a diversity of opinions within the OLF at least since the late 1980s between two factions which held opposing positions on the issue of secession but chose to remain in the organization to protect the larger purpose of Oromo unity. In the past two decades, the OLF has gone through an organizational maturation curve. In the phase of organizational maturity it has reached, it had the chance to evaluate its goals, make adjustments, and elaborate policies and issue-appropriate forms of action for its members. The internal divisions that had been simmering for years came to the surface in the late 1990s, dividing the organization and reflecting the diverse historical experiences of a nation dispersed over a large area. Diversities of opinion resulted in dissensions that became factions, beginning with the Islamic Front for the Liberation of Oromia (IFLO), followed by the Oromo Peoples Liberation Organization (OPLO or IBSO), the Oromo Liberation Front Transitional Authority (OLF-TA), the Reformed Oromo Liberation Front (ROLF), the Oromo Democratic Front (ODF) and Front for the Independence of Oromia (FIO). I cannot preach what is unachievable. It cannot work in Ethiopia. If Oromia was to become a country, the entire region would be in chaos. Oromia is everywhere. … It will be best to fix the country from within so we all have a democratic country in which to live. The Oromo don’t have to think like we are a victim or act like we are a minority. We are not a minority but a majority. We will not forget the historical chapter, but we have to start a new chapter where we work together with everybody to create an Ethiopia for everybody. 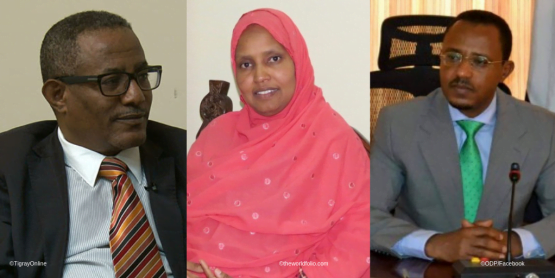 Even though none of Oromo political organizations maintain a strictly secessionist stance, EPRDF officials continue to state that “the OLF’s sincerity and commitment to the democratic question is in question.” As noted earlier, the OLF’s supposed inalterable “secessionist” predilections are the rallying cry of its opponents, primarily the pan-Ethiopian assimilationists and accommodationists. The irony is why this imputed position of the OLF is considered a political crime given that the right to secede is enshrined in the FDRE Constitution. What then of the third charge that nationalists invent new collective identities to serve the power interests of novel social groups. Even Oromo scholars sometimes argue that Oromo nationalism is the handiwork of a disgruntled new social class, the educated professional strata, for whom assimilation to the “Ethiopian” identity did not result in any material pay off. To be sure, the founding OLF leaders were actually very successful individuals, many of whom were not only concerned with power but also their identity in a period of large-scale social change in Ethiopia. They were highly educated people who looked back to earlier historical periods, not just to as mine pit for their political strategies but to find lessons for the present. 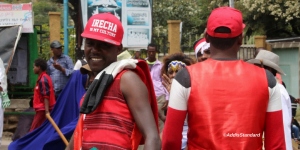 Analyzing the social status of the early Oromo cultural and political nationalists shows they were individuals who were engaged, as Anthony Smith notes, in the rediscovery aspects of their past rather than in the invention of new traditions. The contemporary Oromo nationalist political landscape can hardly be described as elitist. The revival of Oromo political, religious and cultural heritage is sustained by grassroots institutions organized by local people who have no direct connection with Oromo nationalist elite. There are myriad such cultural institutions that now are the engines of cultural revival. The Abbaa Gadaa local councils with their traditional assemblies located in nearly twenty centers across Oromia are institutions dedicated to the revival and restoration of the gadaa system. 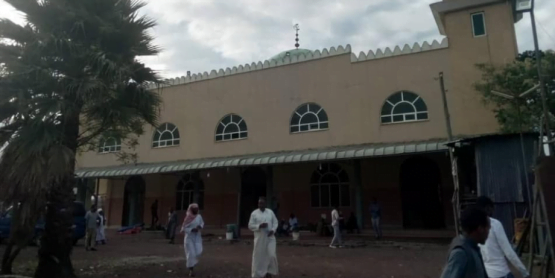 The Waaqefanna centers are organized to revive the theology of the faith which promotes peace (nagaa), reconciliation (araara), love (jaalala) and harmony (walta’iinsa) and to provide space for worshipers of the Oromo indigenous religion. There are now several congregations across Oromia organized into five clusters. 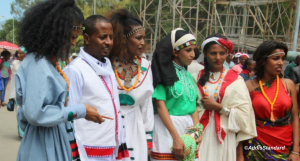 These massive cultural institutions are organized by Oromo elders who voluntarily took up the initiative to recreate Oromo traditional political and religious institutions. The above two institutions are powerfully expressed together in the celebration of the Irreecha festival. 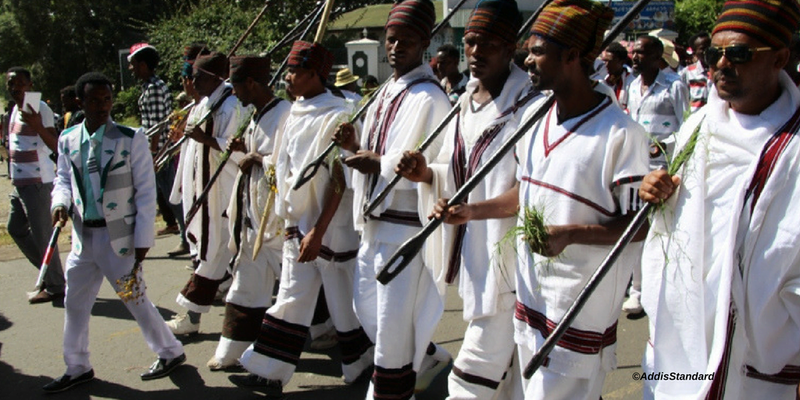 When the festival is celebrated annually at Lake Harsaadii near the town of Bishoftu located about 30 miles southeast of Addis Abeba, it is presided over by the chairperson of the Gumii Abbooti Gadaa (The Union of the Abbaa Gadaa Councils), attended by several million festival attendees. These institutions have their roots in the past but they are quite adapted to the contemporary circumstances. The gadaa institutions that have now reemerged, following many years of rediscovery, are being revived in a way that the present generation can respond to. Abba Gadaa Beyene Senbetu Roobii, president of the Abba Gadaa Council always makes the point of amayeesu (modernizing) the institution. All of this suggests that elites do not have a free hand in “creating” a nation or inventing nationalism. The process of reconstruction and reconstitution succeeds not because of the elite’s social engineering capacity but on the degree to which their message resonates with the aspirations of the target population. In their effort to return to the past, Oromo nationalists are engaged in a project of self-discovery and collective definition that may lead them to experiment with several alternative visions of the nation over an extended period. In the Oromo case, what the ENLF envisioned isn’t precisely the same as what the OLF imagined. The IFLO’s vision of an independent Oromia is different from the OLF’s. Even the OPDO, which in many ways expropriated the OLF vision, was not molded in precisely the OLF tradition. As discussed above regarding the evolution of Oromo political programs, the continuous elaboration of options is a sign not of political opportunism but rather of the preparedness of Oromo nationalists to face contingency. In any event, Oromo nationalism is dynamic and diversified as the nationalists’ multifaceted engagement in Ethiopian politics shows. It is irreducible to a secessionist agenda however hard the holdovers of the assimilationists of the past and the accomodationist currently hanging on to power try. After the massive protests of 2014-16, the Oromo issue has now taken center stage in Ethiopian politics. The demands of the protestors, while many, revolve around these continuing questions of land, identity and self-rule. A functioning participatory democracy within a genuine federal system is the most promising, durable, supportable and least disruptive solution to the longstanding “question of nationalities.” It is already enshrined in the existing FDRE constitution and as such is positioned not only to address the hopes of the majority of Ethiopians for stability, prosperity and human dignity but also to allay the fear of minority groups concerned about being overwhelmed by the larger nations. The Oromo protests have exposed the excesses and weaknesses of the incumbent regime. Now they face the challenge of demonstrating their political acumen to contribute to creation of a balanced and participatory governance in Ethiopia which Oromo leaders championed when the current constitution was adopted. What is called for now is an all-inclusive conversation to design a road map back to the promises enshrined in that document. 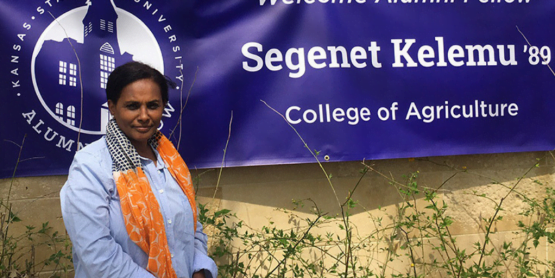 Semahagn Gashu Abebe, The Last Post-Cold War Socialist Federation: Ethnicity, Ideology and Democracy in Ethiopia (New York: Rutledge, 2014), 119-120. John Markakis, National and Class Conflict in the Horn of Africa (Cambridge: Cambridge University Press, 1987), 254-257; John Young, Peasant Revolution in Ethiopia: The Tigray People’s Liberation Front 1975-1991 (Cambridge: Cambridge University Press, 1997), 99; Alem Habtu, “Multiethnic Federalism in Ethiopia: A study of the secession clause in the Constitution 35:1 (2005), 323. Gemechu Megersa, “Oromumma: Tradition, Consciousness and Identity,” in Being and Becoming Oromo: Historical and Anthropological Enquires, ed. P.T.W. Baxter, Jan Hultin and Alessandro Triulzi (Uppsala: Nordic Africa Institute, 1996). Sarah Vaughan, “Ethnicity and Power in Ethiopia,” PhD Diss. University of Edinburgh (2003), 37-38. This position is supported by many of expatriate Ethiopianist scholars and a school of nationalism. Cf. Christopher Clapham, “Conclusion: Revolution, nationalist and the Ethiopian state,” in Marina Ottaway (ed), The Political Economy of Ethiopia (New York: Praeger, 1990), 221-231; Harold Marcus, A History of Ethiopia (London: University of California Press, 1994). Merera Gudina, “Contradictory Interpretation of Ethiopian History: The Need for a New Consensus,” in David Turner (ed. ), Ethiopian Federalism: The Ethiopian Experience in Comparative Perspective (Athens: Ohio University Press), 120. Daniel Kendie, “An Alternative Approach to National Development,” Paper presented at the International Conference on African Development. Western Michigan University, August 1, 2001. The Political Program of Ginbot 7 Movement for Freedom Justice and Democracy. http://www.ginbot7.org/program-3/ Accessed May 29, 2016.Daniel Kendie , “Ethiopia: An Alternative Approach to National Development” (2001). International Conference on African Development Archives. Paper 10. http://scholarworks.wmich.edu/africancenter_icad_archive/10. Idem, Daniel Kendie (1994) “Which Way the Horn of Africa: Disintegration or Confederation?” Northeast African Studies, 1:1 (1994), 137-167. It should be noted that the notion of a dominant party was a TPLF goal since it was introduced to Ethiopia by Samuel Huntington in 1993. Huntington, “Political Development in Ethiopia: A Peasant-Based Dominant Party Democracy,” In W. H. Tecola (ed) Democratization in Ethiopia (1991-1994): A Personal View (Cambridge: Khepera Publishers, 1993), 271. Ezekiel Gebissa, “Oromo Protests: The Martinet’s Message Meets Its Match, Addis Standard, 6: 59 (March, 2016). Meles Zenawi, “States and markets: neoliberal limitations and the case for a developmental state.” In Akbar Norman, Howard Stein & Kwesi Botchway (eds), Good Growth and Development in Africa: Rethinking Development Strategies. (Oxford: Oxford University Press, 2012), 140–72; Addis Alem Balema, Democracy and Economic Development In Ethiopia (Lawrenceville, NJ, 2014). Alemseged, Abbay, “Diversity and State-Building in Ethiopia,” African Affairs 103 (2004):593–614. Solomon Gashaw, “Nationalism and Ethnic Conflict in Ethiopia,” The Rising Tide of Cultural Pluralism, ed. Crawford Young (Madison: University of Wisconsin Press, 1993), 138–157. Kendie, “Ethiopia: An Alternative Approach to National Development” Paper 10. Tesfaye Tolessa Bessa, “A History of Oromo Cultural Troupes (1962-1991)” Science, Technology and Arts Research Journal 2:1 (2013), 86-94; Mohammed Ademo, “Afran Qallo Band Marks 50 Years of Making Music and History,” OPride: News, Views and Public Service. http://www.opride.com/oromsis/news/3583-afran-qallo-band-marks-50-years-of-making-music-and-history. Accessed May 29, 2016. Shawn Mollenhauer, “Millions on the Margines: Music, Ethnicity, and Cencorship among the Oromo of Ethiopia,” PhD diss., Department of Ethnomusicology, University of California, Riverside, 2011. P. 87. Gianpaulo Calchi Novati, “Conflict and Reshaping of States in the Horn of Africa,” in Alessandro Triulzi and M. Cristina Ercolessi Ieds. ), State, Power, and New Political Actors in Postcolonial Africa (Milan: Felterineilli, 2004), 87-112. Demitu Argo, Oromo Art as a Politcal Resistance. http://www.ogina.org/issue4.html. Accessed May 29, 2016. Marina and David Ottaway, Ethiopia: Empire in Revolution (New York: Africana, 1978), p. 120. David H. Shinn, Thomas P. Ofcansky Historical Dictionary of Ethiopia 155. Bahru Zewde, Documenting the Ethiopian Student Movement: An Exercise in Oral History, 108. Oromo Liberation Front Program, (Finfinne,1976). Organizations, as civilizations, rise to respond to a challenge. Usually, the life cycle models have four stages: birth, growth, maturity and decline. 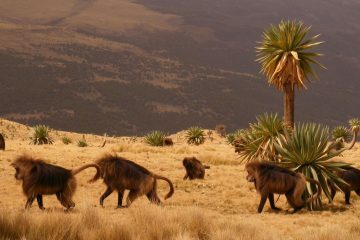 During their life evolution the organizations must adapt and renew to survive. Organizations that fail to respond often end up in failure. Kim S. Cameron, Robert I. Sutton, David Allred Whetten, Readings in organizational decline: Frameworks, research, and prescriptions (Boston, MA: Ballinger Books, 1988). Asfaw Beyene, “Leadership and the State of the Oromo Struggle: What is going on?,” Paper presented at the Oromo Studies Association Annual Conferece, University of Minnesota, Minneapolis, July 14-15, 2012. Solidarity Movement for a New Ethiopia. http://www.solidaritymovement.org/130406-SMNE-Applauds-Oromo-Democratic-Front.php Accessed May, 27, 2016. Thomas Osmond, “Knowledge, Identity and Epistemological Choices: An Attempt to Overcome Theoretical Tensions in the Field of Oromo Studies,” in Susanne Epple (ed. ), Creating and Crossing Boundaries in Ethiopia: Dynamics of Social Categorization and Differentiation (Münster: LIT Verlag, 2014), 196. Anthony Smith, The Ethnic Origins of nations (Osford: Blackwell, 1986), 358. 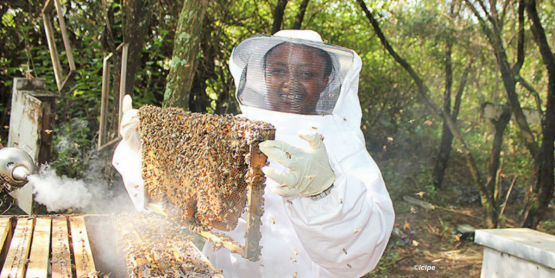 Bedassa Gebissa Aga, “Oromo Indigenous Religion: Waaqeffannaa,” International Journal of Research and Scientific Innovation 3:4 (2016), 1.
International Journal of Research and Scientific Innovation 2: 9 (2015), 12. 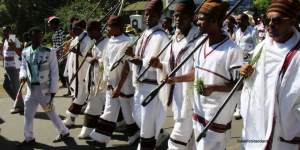 Mekuria Bulcha “Oromia’s Irreecha Festival – A Revival of an Ancient African Culture – An Attempt to Understand and Explain” September 27, 2015. http://www.ayyaantuu.net/oromias-irreecha-festival-a-revival-of-an-ancient-african-culture-an-attempt-to-understand-and-explain/ accessed May 31, 2016; Gemechu J. Geda. “Irreecha: An Indigenous Thanksgiving Ceremony of the Oromo to the High God Waaqa”. In Critical Reflections on Indigenous Religions. Edited by James L. Cox. (New York: Ashgate, 2013), 152-155. During his tour of Oromo communities in North America in the fall of 2014, Abba Gadaa Beyene Sanbatu Robi, President of the Oromia Gadaa Council, emphasized the need to adapt to the demands of modern realities.